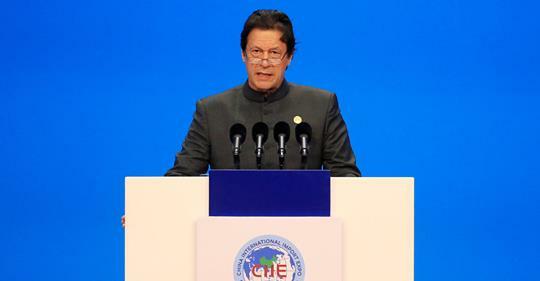 Days after the people in Pakistan urged Nobel Peace prize for the Pakistan Prime Minister Imran Khan, the premier said that the person who would solve Kashmir dispute according to the wishes of Kashmiri people and paves way for peace and human development in the sub-continent will be worthy of Nobel Peace Prize. In a tweet today after people came out in support of Imran Khan demanding Nobel Peace Prize for him for his peace gesture to release the Indian pilot, the prime minister said that he is not worthy of the prize. “I am not worthy of the Nobel Peace prize. The person worthy of this would be the one who solves the Kashmir dispute according to the wishes of the Kashmiri people and paves the way for peace & human development in the subcontinent,” Khan wrote on his official twitter handle. Earlier, on Friday Pakistan government handed over the Indian Pilot who was captured in Pakistan, to India at Attari Wagah border, terming it a gesture of peace.